The newest Airbus helicopter is smooth, quiet, and ready for anything. Including an aerial loop. My first hint this wasn’t going to be a normal helicopter demonstration flight came when I saw my camera floating inches in front of my face. It was strapped to me, but I still reached out and yanked it from the sky in mid-hover. 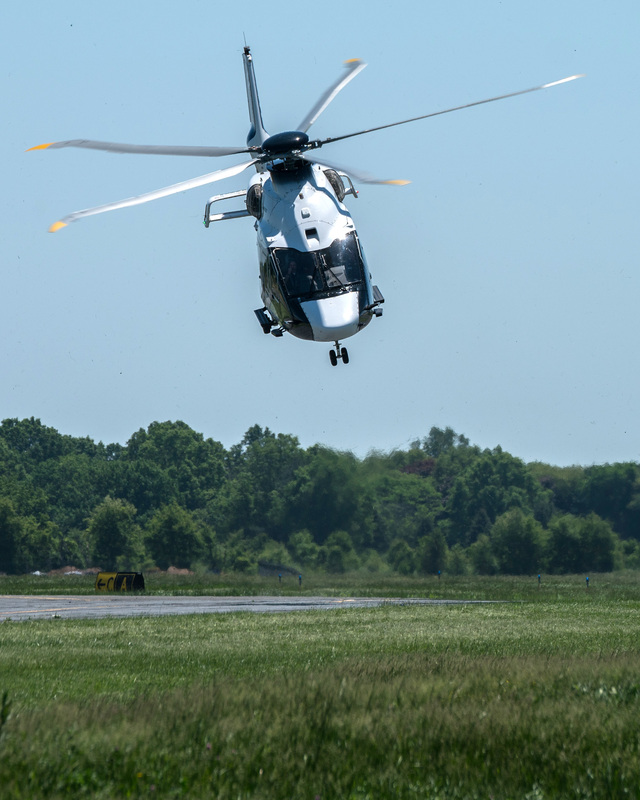 The camera and I were in free-fall, for a few seconds—hence that brief flirtation with zero-g—while Airbus Helicopters test pilot Olivier Gensse demonstrated the new H160 chopper’s precise and responsive powerplant. Specifically, he was showing off the helicopter's ability to deliver power immediately when you need it, without drama or the kind of overcorrection that can send other helicopters onto their backs. Not that the H160 couldn’t handle even that, though. 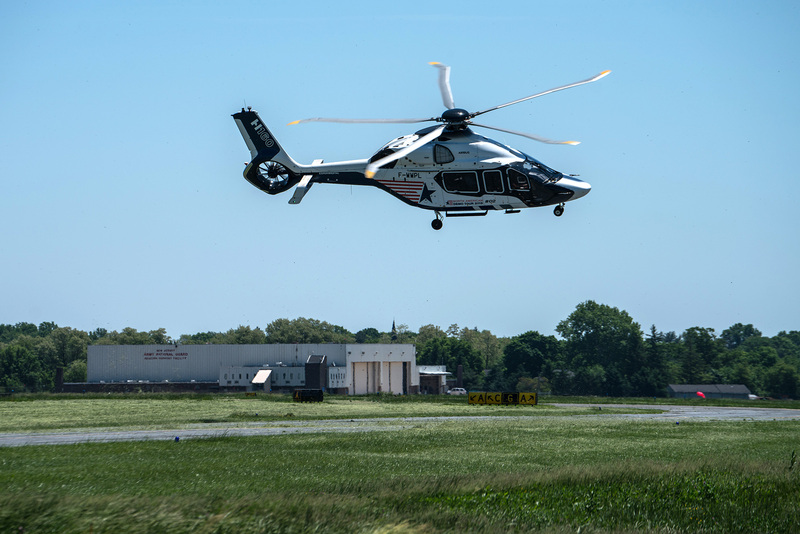 A few minutes after the free-falling power demonstration over rural New Jersey, Gensse demonstrated the chopper's stability by pitching the helicopter straight up and then onto its back before aiming straight down toward the ground and recovering with incredible smoothness. That’s right—we were inverted in a helicopter. The specific purpose of that demo, presented to the pilots of prospective corporate customers, was to show the aircraft’s “margins”—or the extra performance padding pilots have in an emergency. You wouldn’t ever fly like that in daily use, of course, but it’s nice to know what the helicopter can really do if you ever need to. By comparison, the rest of the flight felt like a cakewalk—though still plenty dramatic at times. 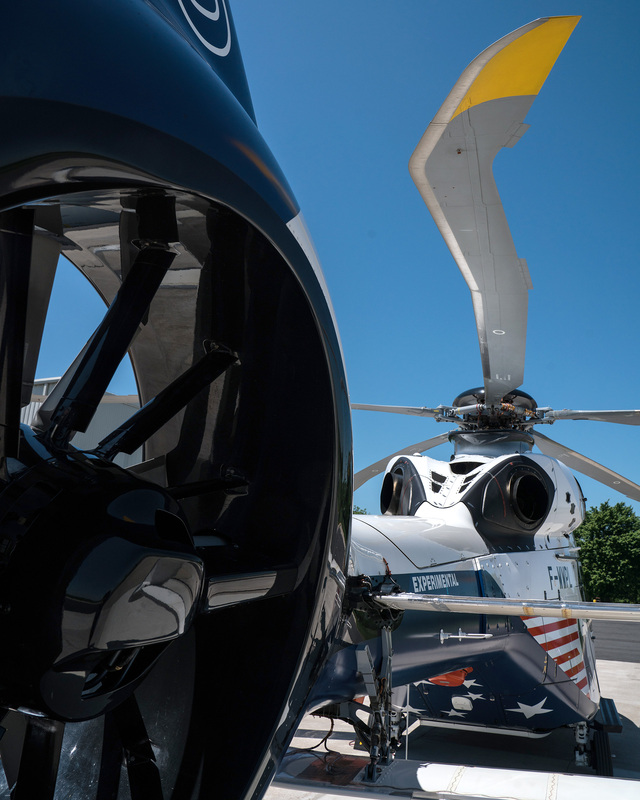 Gensse pitched the H160 onto its side, then double-clicked a button on the control yoke to show off the helicopter’s ability to recover automatically from a severe upset. This could save a flight should the pilot become disoriented in bad weather, or for any reason uncertain about precisely what control inputs are required to right the ship. It’s part of the Airbus’s philosophy with the H160—automate as much of the flying as possible, so the pilot can manage his or her mission and focus on the essentials of navigation and communication. That diminished workload pays off as much in routine situations as it does during crises, by reducing stress and the possibility of error. 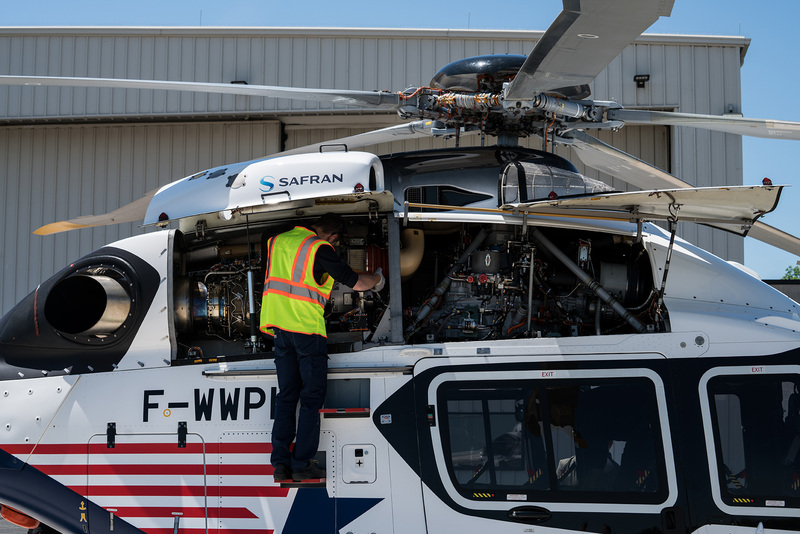 The H160 helicopter falls into the “medium” category in size and performance, targeted toward VIP transport, oil-rig crew transfers, emergency services, and other commercial and industrial applications. Airbus hasn’t released pricing data, but helicopters in this category sneak low double-digit millions of dollars. This model can seat up to 12 passengers and fly up to 460 nautical miles, with a top speed of 177 miles per hour. 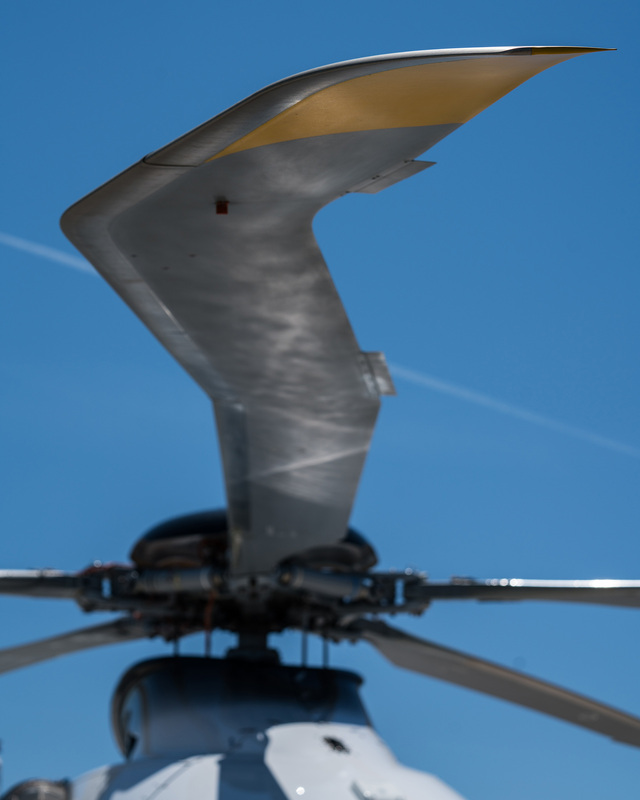 It burns 15 percent less fuel than previous-generation engines, and thanks to innovative scimitar-shaped rotor blades, it's 50 percent quieter than competitive models as measured from directly below. (The aerodynamic tweaks to the blades also eliminate the signature chopping sound made by most helicopters.) And indeed, the noise inside was noticeably reduced—you couldn’t exactly whisper to one another, but you also don’t have to shout when holding a conversation without headsets on. Other tricks include a two-tier rear stabilizer called a biplane (yes, time is a flat circle) that improves stability at low speed by reducing the impact of rotor downwash you’d get with a larger stabilizer, and a canted fenestron—Airbus’s version of the tail rotor, which is shrouded to improve safety. 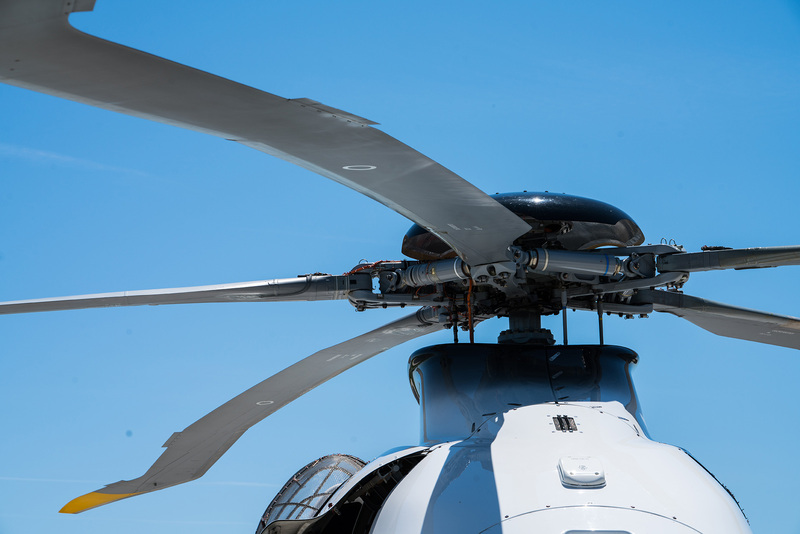 In the H160, it’s also angled downward, to contribute to lift as well as overall stability. But the most significant advances remain in the helicopter’s autopilot, enhanced by the information-prioritization made possible through the digital cockpit. (In layman's terms: Pilots see only what they need to see, not everything-at-once as with conventional instrument panels.) The system is designed to smooth out all aspects of flight—which is already pretty smooth to begin with, due to the aircraft’s advanced inherent stability—and is always on, ready to maintain heading and altitude should the pilot suddenly need to direct his or her attention elsewhere. It can always be overridden simply through control inputs, should more severe movement be necessary—something Gensse showed off during his more spirited demonstrations. No autopilot would do the stuff he did with that helicopter; it was pure skill—a testament to Gensse’s talent, sure, but also,the H160’s ability to handle some of the worst situations imaginable. 5 People Died in a Helicopter Crash in New York City's East River. I Was There. As a passenger in an accompanying helicopter, I know how hard it would have been to escape that crash.